Laser Dentistry Las Cruces NM | Minimally invasive gum disease treatment with LANAP! 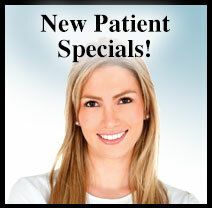 We are pleased to provide the latest in minimally invasive treatment of gum disease. We are licensed to use the Laser-Assisted New Attachment Procedure™, or LANAP. Specialized lasers achieve remarkable results for vision correction and other medical procedures, and this same technology is changing outcomes in dentistry as well. With LANAP, scalpels and incisions are no longer needed to reverse gum infection. This FDA-certified treatment for periodontitis heals gum tissue faster with little pain. Don't wait any longer to take care of harmful gum disease. With this treatment, you can easily regain a healthy, happy smile. Ultrasonic scaler and special hand instruments are used to remove root surface tartar. Laser finishes cleaning pocket and aids in sealing the pocket closed so new germs can't enter. It costs nothing to determine if you're a suitable candidate for LANAP treatment. Schedule a no cost/no obligation consultation by calling (575) 522-1983.